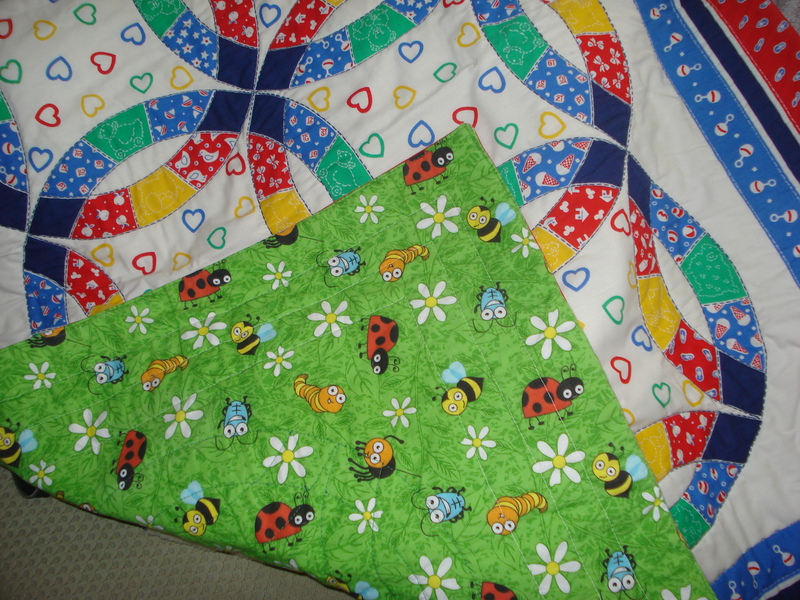 Well I made a few more of those baby quilts. 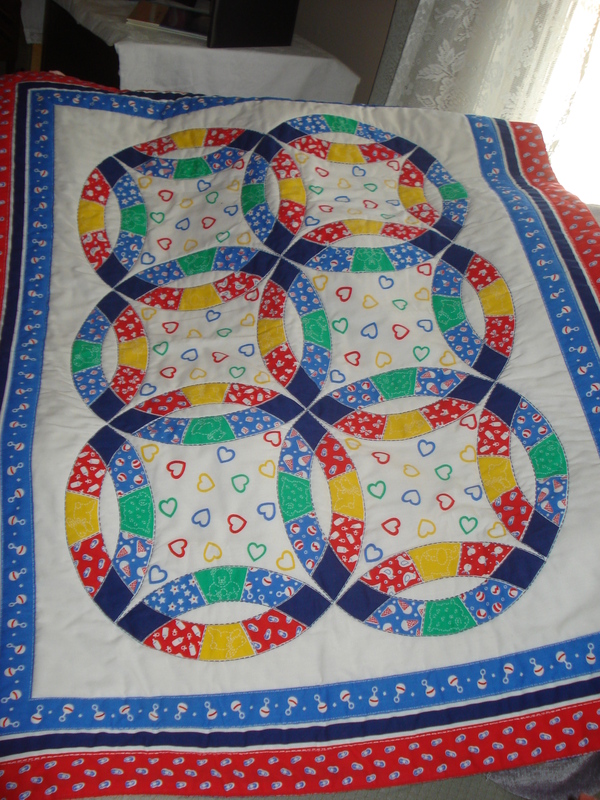 I always wanted to make a double wedding ring quilt but I never thought my first one would be on a baby quilt. I made them with two different backings — one a blue plaid and the other a really cute print with ladybugs, bees flowers etc. I think they are very cheerful, happy quilts and would be great for baby’s playmat. 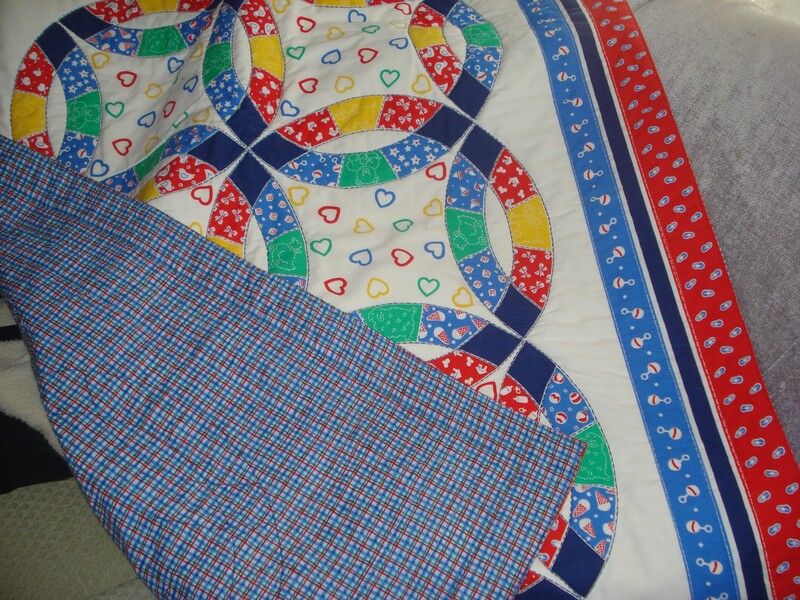 This entry was posted in Baby Items and tagged baby quilts. Bookmark the permalink.